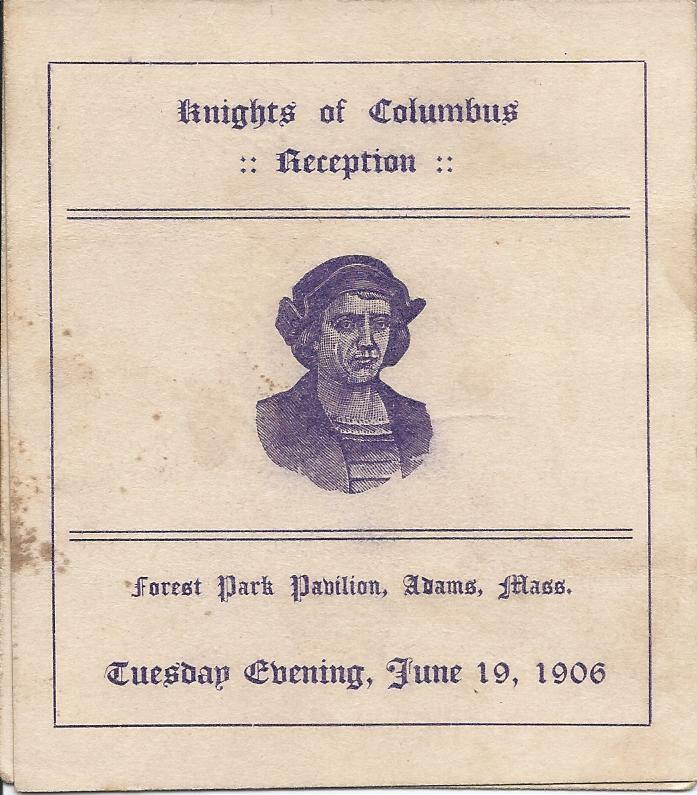 Knights of Columbus Reception, Forest Park Pavilion, Adams, Massachusetts. 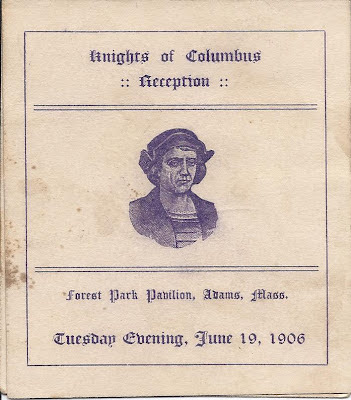 Tuesday Evening, June 19, 1906. Cardstock paper, 8" x 3-1/2", folded once.